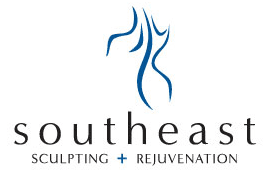 At Southeast Sculpting + Rejuvenation in Fort Mill, South Carolina, the team is committed to helping you look and feel your best. They offer top-of-the-line, personalized skin care services and products, including ZO® Skin Health products, a medical-grade skin care line formulated by Dr. Zein Obagi. If you’re concerned about wrinkles, age spots, acne, or a dull, uneven skin tone, call Southeast Sculpting + Rejuvenation or schedule a consultation online today. What are the available skin care treatments and products? Southeast Sculpting + Rejuvenation is an authorized provider of the widely-acclaimed ZO® Skin Health system, created by the renowned Dr. Zein Obagi. They adhere to his philosophy that healthy skin reduces the need for treatment of skin diseases. The ZO daily regimen combined with other skin services will leave you with the best skin of your life. ZO offers two peels. The mild Stimulator peel is the perfect “lunch hour peel” to promote healthier skin with no irritation or downtime. The second is the ZO 3-Step Peel which is undertaken only after the patient has completed a six week “Getting Skin Ready” protocol. This aggressive peel combines exfoliants, retinol, and multi-action agents to remove old skin cells and other impurities that clog your pores and dull your complexion as it reduces discoloration and diminishes fine lines and other signs of aging. Whether you’re concerned about signs of aging, acne, or dry, dull skin, the team at Southeast Sculpting + Rejuvenation offers skin care treatments to enhance your skin and help you feel confident in your appearance. Your provider begins each consultation with a thorough history detailing your skin concerns, at-home skin care regimen, and other professional treatments you may have had. This information helps them understand your needs and select customized treatments to improve and enhance the health and appearance of your skin. A careful examination with magnification follows. The team at Southeast Sculpting + Rejuvenation offers medical-grade skin care treatments to address every skin concern. Whether you’re looking for an anti-aging solution or procedures to reduce congestion and acne, they provide facials and other treatments to help you look and feel your best. What are the benefits of medical-grade skin care? Medical-grade skin care is stronger than the products you buy in the drugstore or online. They’re formulated for professional, supervised use and deliver more noticeable results than at-home products. Medical-grade skin care is an excellent supplement to your at-home regimen. The deeper exfoliation and extraction improves the condition of your skin and makes your daily skin care more effective. Call Southeast Sculpting + Rejuvenation or schedule a skin care consultation and treatment online today.